These old fashioned Indian dessert recipes come to us from the halcyon days of the British Empire and the great East India Company. The amazingly delicious desserts were once served at afternoon teas, official functions, and family get-togethers in India, but they're perfect for serving on any occasion. The Indian dessert recipes below are mostly from Hindustan. You will enjoy making the traditional Hindustani confections, and they are so delicious to eat. Take a pound of rice flour. If one cannot obtain rice flour use common flour. Put it in a bowl. Crack into it two eggs, add a little salt, and enough coconut and coconut milk to make a soft dough. Use a ten-cent tin of Baker's fresh coconut for this. Knead well and cover for a little while with a damp cloth. After a while mold this dough into little balls about the size and shape of pecans (or larger, if preferred). You will have to keep your fingers oiled while doing this. Fry them as you would doughnuts. Let stand until perfectly cold. Weigh them, and for every pound take a quarter of a pound of white sugar. Make this sugar into a syrup. 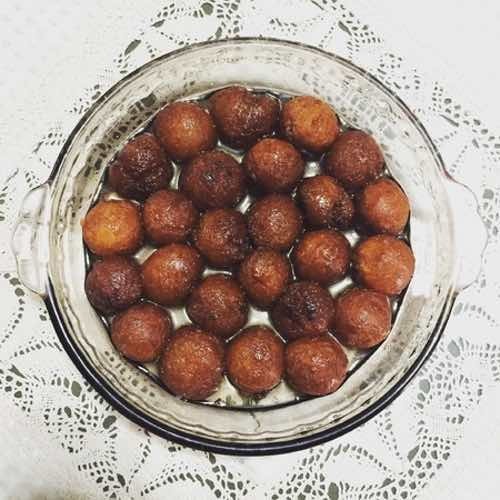 When thick, put in the gulab jamuns and stir them for a few minutes. When they are well frosted, remove. Spread out on oiled paper. These are really very nice. Any kind of little cakes and nuts can be frosted the same way. The syrup should be allowed to cool a little before the cakes are put in it. Use rather green bananas for this easy Indian dessert recipe. Peel, slice crosswise, sprinkle lightly with salt and fry. Be careful to keep them whole and not to burn them. Allow them to get thoroughly cold, then frost as directed for Gulab Jamuns (above). This marmalade can be made from oranges or lemons or grapefruit, or by combining the three, or by combining any two of them. Either slice the fruit very thinly or run it through a meat grinder. For every cup of fruit take three cups of water. Let it stand for twenty-four hours. Then boil it in the same water until the rinds are soft. Let stand another twenty-four hours in the same water. Then measure again and for every cup of mixture take a cup of sugar. The best results are obtained if not over four cupfuls are boiled at a time. Boil rapidly. If citrus fruits are boiled slowly, they are apt to grow dark and strong. If oranges are used alone for this marmalade, they must be sour. For this Indian dessert recipe, a good combination is four oranges, two lemons, and half a grapefruit. Any fruit may be made into a confection which, in India, is called "Cheese." The fruit part first wants to be reduced to a pulp. Then take equal parts of fruit pulp and sugar, with as much butter as you feel you dare use. If you feel that you dare not use any, use Crisco (vegetable shortening) with salt. Cook down until it becomes a paste that can be cut with a knife. It must cook very slowly. Sometimes when nearly finished nuts are added. In apricot cheese, the kernels are used. They must be blanched and minced. 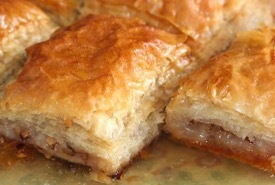 Guava cheese is perhaps the finest, as the flavor improves much with cooking. Boil a pound of carrots until very tender. Then mash them perfectly smooth. Mix with them a pound of sugar, a tablespoonful of butter, and the juice of a large lemon. Also add a few cardamon seeds. Cook over a slow fire until the mixture hardens into a paste. Add a little more butter just before removing from the fire. Press into shallow pans and cut in neat squares or diamonds like fudge. Take a dozen ripe bananas, skin them, and mash them up with a cup of cream of wheat and a cup of sugar; also add a tablespoonful of butter and a little cinnamon. Cook slowly for about three hours in a double boiler. When cold cut as you would cheese. A "fool" is a drink made of fruit pulp and milk. Mango fool is perhaps the most popular. Fools are always best made of tart unripe fruits. Pare, slice, and stew the fruit until it is quite soft. Strain through a fine sieve or coarse muslin. Add to the pulp as much sugar as is desired and enough water to make it pour easily. Boil for a few minutes and turn into a jug. When ready to drink it, fill the glass about half full of the fruit mixture and then fill with rich milk. Add ice. These "fools" are very nutritious and refreshing. Often in the hot weather one cares for little else. For this Indian dessert recipes, pare and cut in very small strips a pound of sweet potatoes. Steam until a little soft, but not entirely so. Make a batter of flour, two eggs, and water. Put a tablespoonful of batter on a well-greased griddle, then a tablespoonful of the potatoes. Cover these with another tablespoonful of batter. When done on one side, turn. Eat with melted brown sugar and butter or with syrup. Mix dry breadcrumbs and grated coconut together, and a few raisins, too, if liked. Take a cup of sugar and half a cup of water, and boil. When syrup has reached the stage that it forms a hard ball in water, pour over the breadcrumb mixture. Mold as if making popcorn balls. If one likes, these may be rolled in powdered sugar afterward. These are also a very fine sweet for social and missionary functions of all kinds. Suji (semolina) flour may be substituted if cream of wheat (non durum semolina) or farina is unavailable in your area. An all-purpose flour can also be used in a pinch. Fry a cupful of cream of wheat in half a cup of butter or Crisco (shortening). When it begins to have a nutty flavor and to be slightly brown, add three cups of water and one cup of sugar and a few of the small inside seeds of the cardamon. Boil slowly until it forms a thick rich paste. Press into square cake pans and sprinkle over the top minced nuts and also raisins, if desired. Cut in squares like fudge. Very good and wholesome. One pound of cream of wheat and one pound of sugar mixed intimately; then add half a cup of lard or Crisco and knead awhile. Form into little balls and shape the balls as desired. Usually, they are simply flattened out into squares. Bake a light brown. Be careful that they are not crowded in the pan. Ingredients: 1 quart of milk, the rind of 1/2 large lemon, sugar to taste, 5 heaped tablespoonfuls of rice flour, 1 oz of sweet almonds, 1/2 pint of custard. 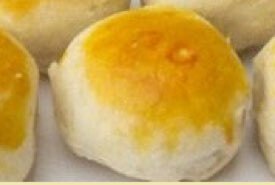 Method: Boil the milk and lemon rind together until the former is well flavored; take out the lemon rind and stir in the rice flour, which should first be moistened with cold milk, and add sufficient loaf sugar to sweeten it nicely. Boil gently for about 5 minutes, and keep the mixture stirred; take it off the fire, let it cool a little, and pour it into a glass dish. When cold, cut the rice out in the form of a star, or any other shape that may be preferred; take out the spare rice, and fill the space with boiled custard. Blanch and cut the almonds into strips; stick them over the trifle, and garnish it with pieces of brightly colored jelly, or preserved fruits, or candied citron. Sufficient for one trifle. This Indian dessert recipe is seasonable at any time. 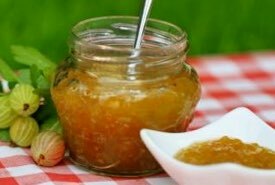 Ingredients: 3 tablespoonfuls of flour, boiling water, the yolks of 4 eggs, the whites of 2, hot lard or clarified dripping, jam or marmalade. Mode: Put the flour into a basin, and pour over it sufficient boiling water to make it into a stiff paste, taking care to stir and beat it well, to prevent it getting lumpy. Leave it a little time to cool, and then break into it (without beating them at first) the yolks of 4 eggs and the whites of 2, and stir and beat all well together. Have ready some boiling lard, oil, or butter; drop a dessertspoonful of batter in at a time, and fry the fritters of a light brown. They should rise so much as to be almost like balls. Serve on a dish, with a spoonful of preserve or marmalade dropped between each fritter. This is an excellent dish for a hasty addition to dinner, if a guest unexpectedly arrives, it being so easily and quickly made, and it is always a great favorite. Sufficient for 4 or 5 persons. Seasonable at any time. Enjoy the delicious taste of homemade fritters and marmalade, or a unique Indian trifle made with rice flour, almonds, colored jellies, and fruit. With those wonderful ingredients, it simply has to taste amazing. Also enjoy gulab jamuns, halwa, fruit cheeses, frosted bananas, and sujee biscuits. Your family will love trying these delicious confectionery treats that reflect their eastern influence. They're excellent for serving after a curry dinner or at a family get-together when you want to enjoy a special treat.